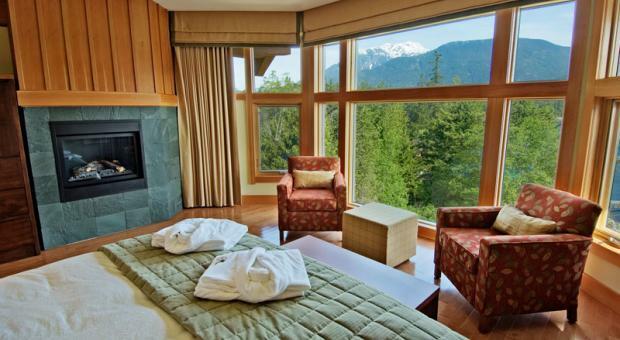 Experience the true rugged beauty of Canada's Westcoast while being pampered with luxurious resort/lodge accomodation, first class transportation, and of course superb golf and fishing. This one of a kind Canadian experience can begin in the exciting/cultural capital of Vancouver. After enjoying this wonderful city you can choose to head to the mountain paradise and recreational capital of Whistler BC. Here you will challenge yourself on some of BC's most scenic and challenging golf courses all along while enjoying Whistler's vibrant atmosphere. 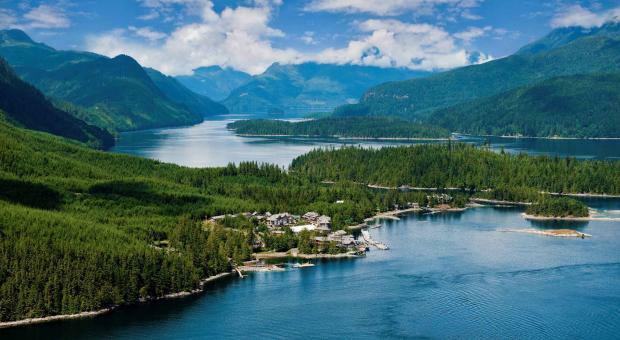 From a mountain retreat to a secluded island resort, you will then journey to the 5 star Sonora Resort on Sonora Island located in the Georgia Strait by seaplane. 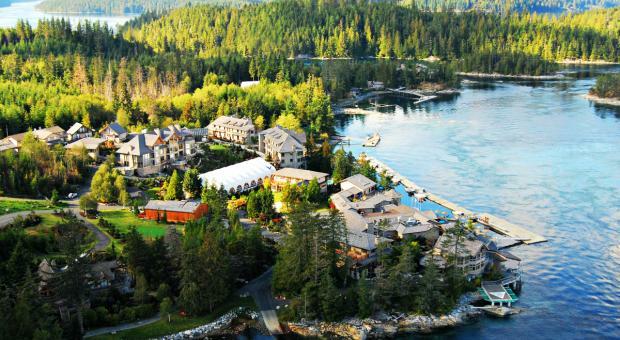 RECENTLY VOTED #5 BEST LUXURY RESORT IN ALL OF CANADA. Here your days will be spent ocean fishing (Salmon), heli-fly fishing, wilderness viewing, whale watching, relaxing at the many pools and spas, enjoying superb Westcoast cuisine, and yet another perfect day of golfing on BC's most secluded course - Storey Creek. And if time permits, you are lucky enough to continue on to golf and relax in yet another Canadian Rocky Mountain paradise - Banff, Alberta. This vacation exemplifies the true Canadian experience where luxury and natural beauty coexist as one, leaving you with a feeling of complete fullfillment! Day 3: Golf Fairmont Chateau Whistler and relax/shopping in the afternoon in Whistler village. Day 4: Golf Whistler Golf Club - optional gondola ride to the Whistler mountain summit for dinner. Day 5: Early morning transportation back to Vancouver and board seaplane to the Sonora Resort on Sonora Island near Campbell River (inclusive of all gourmet food and drinks). Afternoon Relax around the pool and spa. Or Optional Helicopter Glacier/Nature tour with professional guide. Day 7: Boat transfer (1 hr) to the highly ranked Storey Creek Golf Club for a round of golf. Afternoon - optional Grizzly Bear Viewing excursion or Helicopter Glacier/Nature tour with professional guide. Day 8: Check out and transfer back to Vancouver by Seaplane and catch departing flight home. Farewell!! 4 rounds of golf with powercart (Nicklaus North, Whistler, Fairmont Chateau Whistler, and Storey Creek Golf Club). 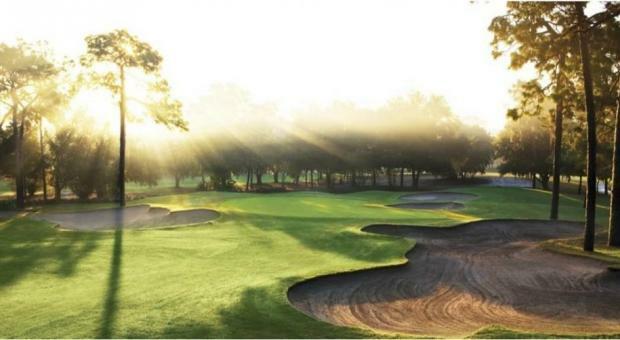 Includes club rental at Storey Creek. Optional extra Helicopter Glacier/Nature Tour or Grizzly Bear viewing excursion with professional guide. 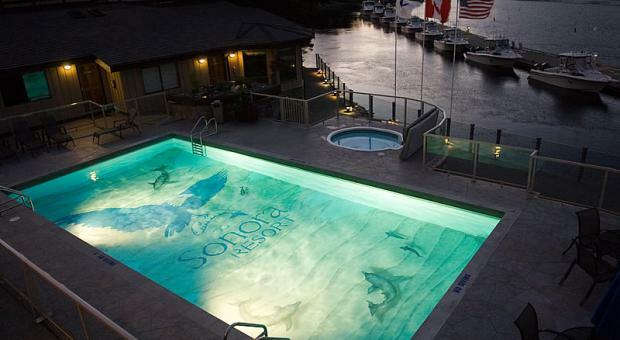 Add on Wildife tours, whale watching, fly fishing etc.. at Sonora Resort. **Please note that this itinerary can be customized to included upgraded suites, additional nights, additional activities and golf. *based on double occupancy. 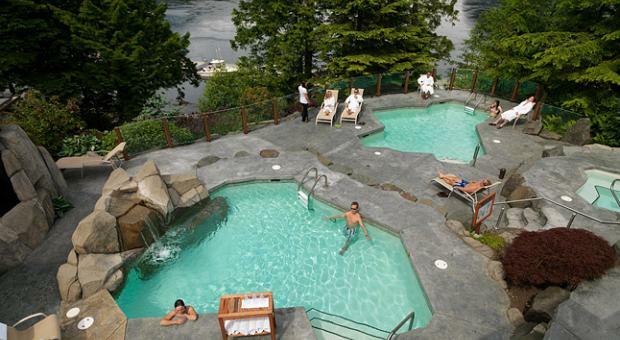 Not including transportation to and from Sonora Resort or transportation from Vancouver to Whistler (add on self drive rental or limo for added fee) Add on days and nights available as well.